The wearable camera company’s poor revenue forecast for the holiday quarter sent the stock crashing 24 pct. Flattening sales point to a saturated market. Competitors’ cheap and cheerful cameras are threatening to slash margins, too. GoPro’s highlights reel may be nearing an end. GoPro’s stock fell 24 percent in after-hours trading on Jan. 13 after the company announced a disappointing estimate of fourth-quarter revenue. The wearable camera maker expects the top line for the three months to December of about $435 million, compared to the consensus estimate of sell-side analysts of $511.9 million. 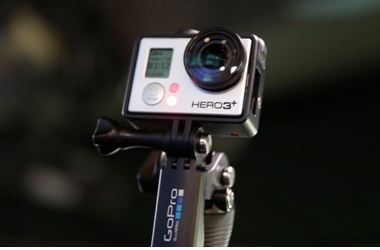 The company said revenue was hurt by weaker than expected demand and a price cut meant to boost demand for its Hero4 Session cameras. GoPro also said it will cut 7 percent of its workers and expects to incur a restructuring charge of about $5 million to $10 million in the first quarter.